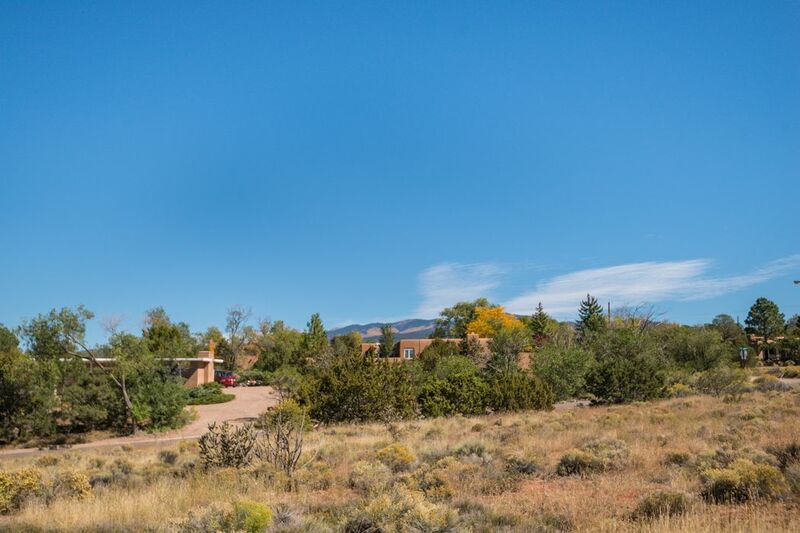 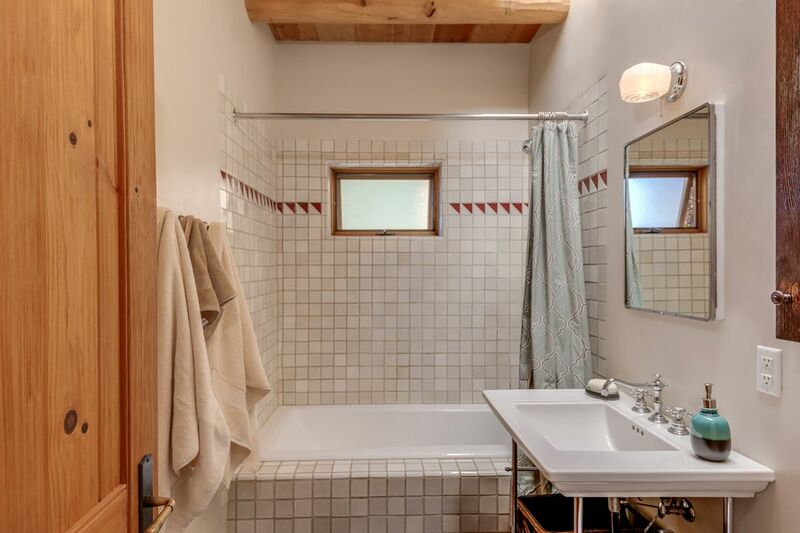 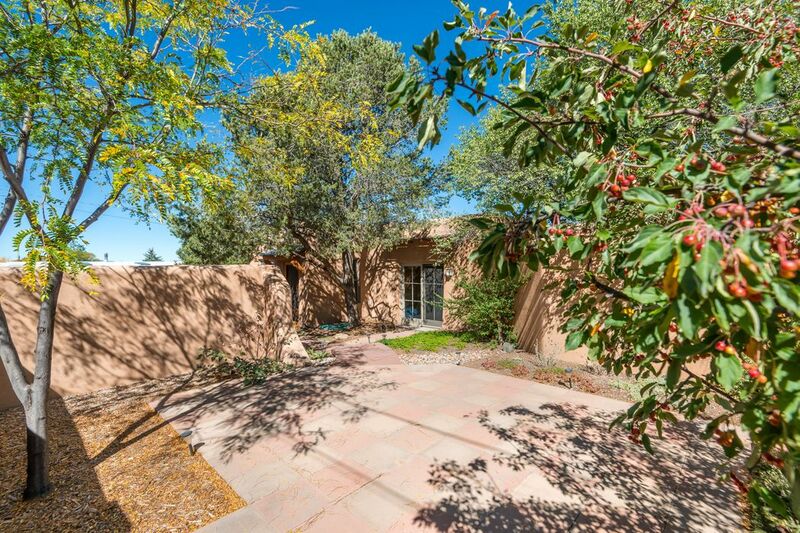 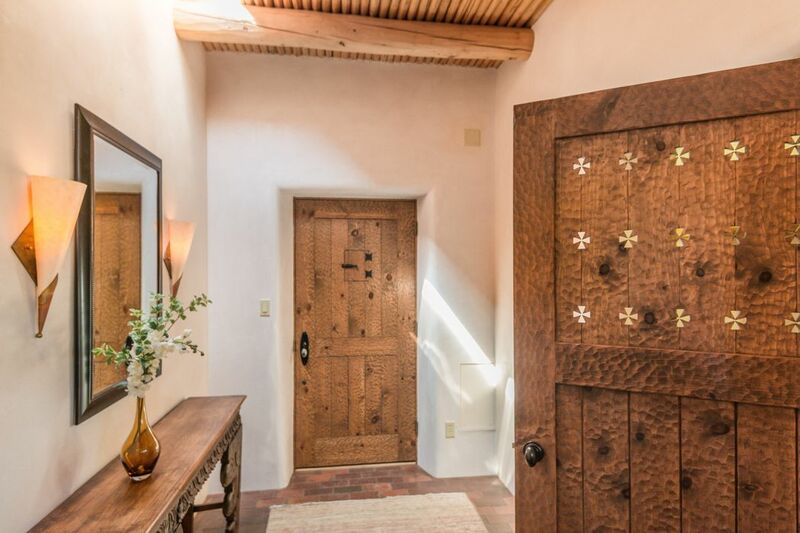 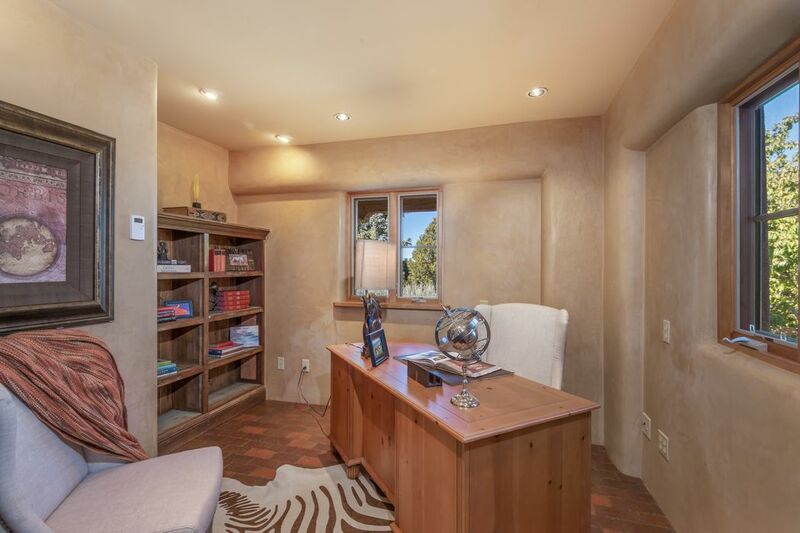 510 E Barcelona Rd , Santa Fe, NM 87505 | Sotheby's International Realty, Inc.
$1,275,000 4 Bedrooms3 Full Baths3,101 sq. 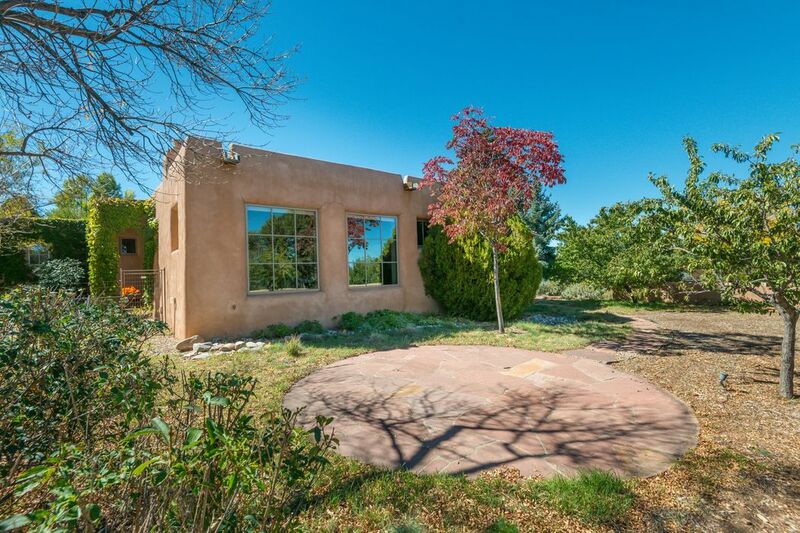 ft.
Fabulous New Listing! 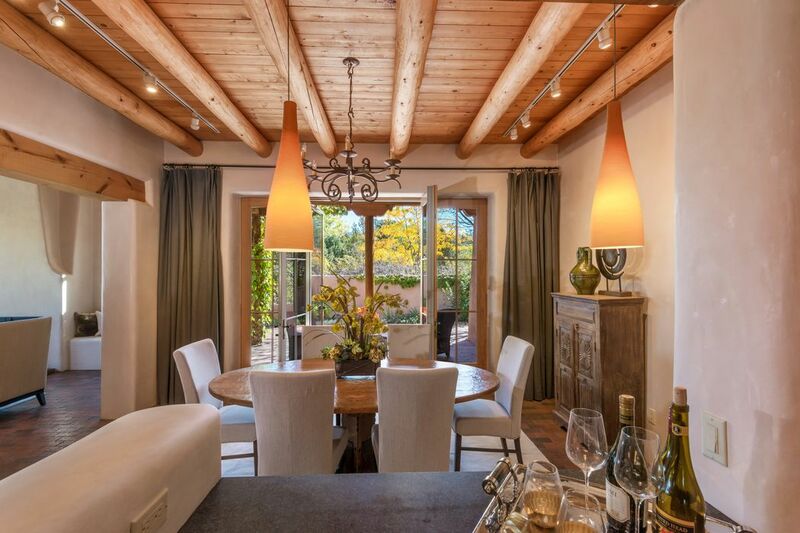 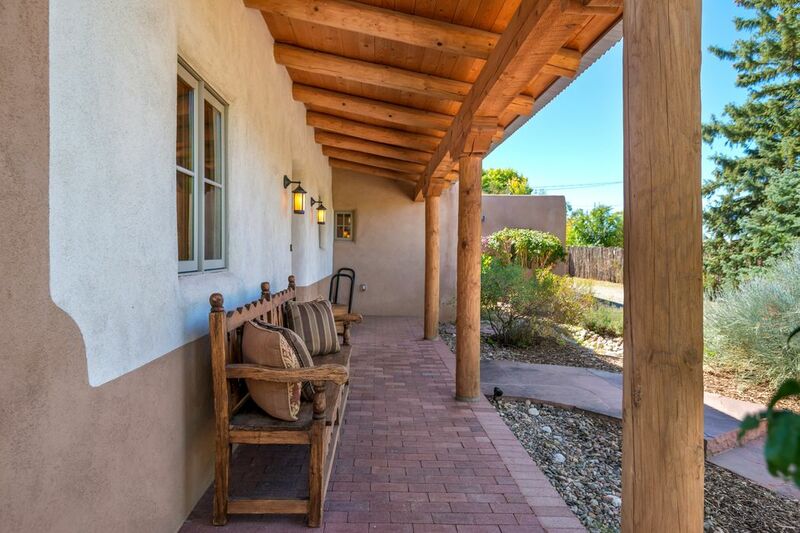 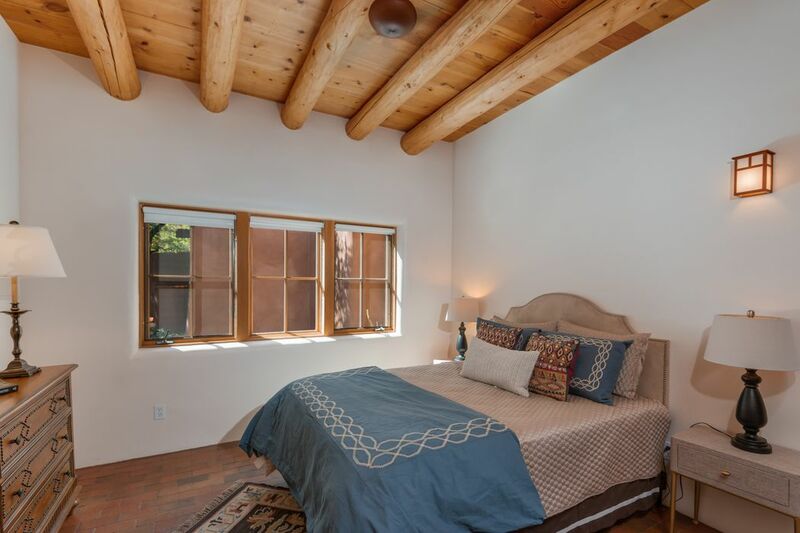 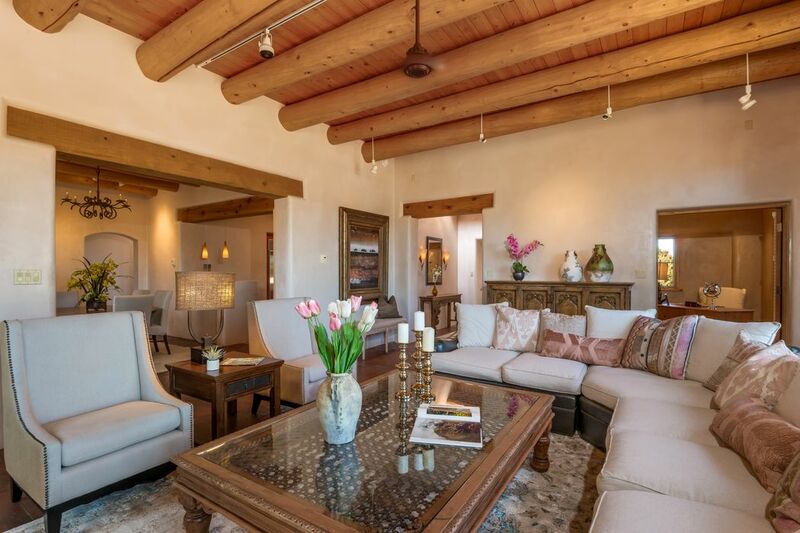 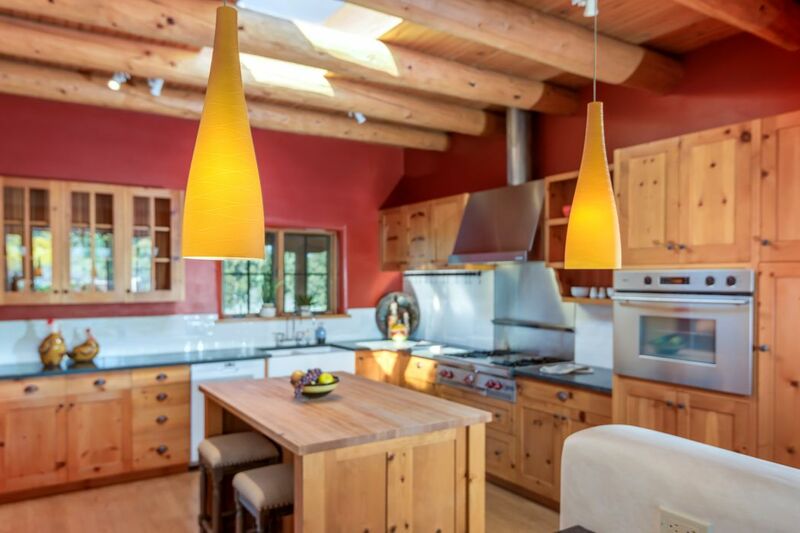 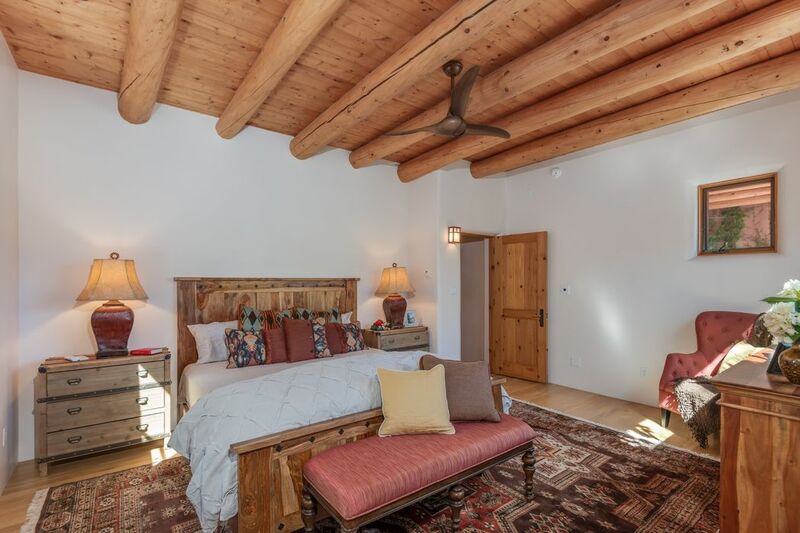 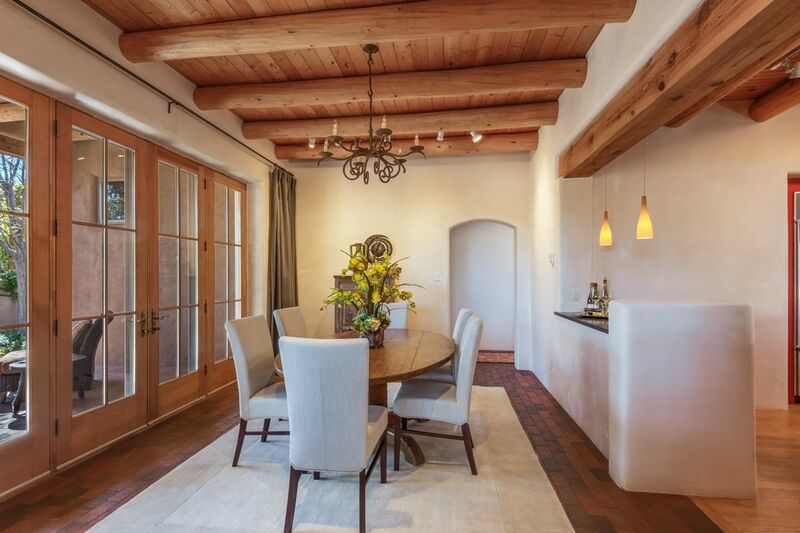 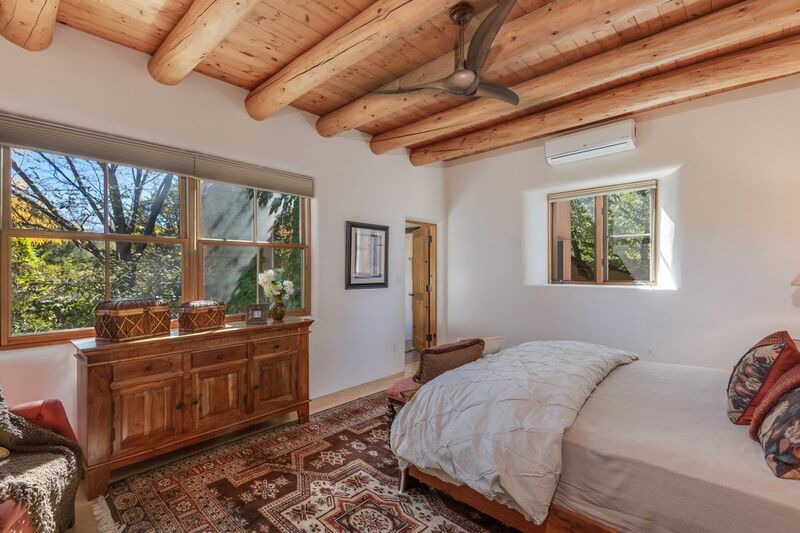 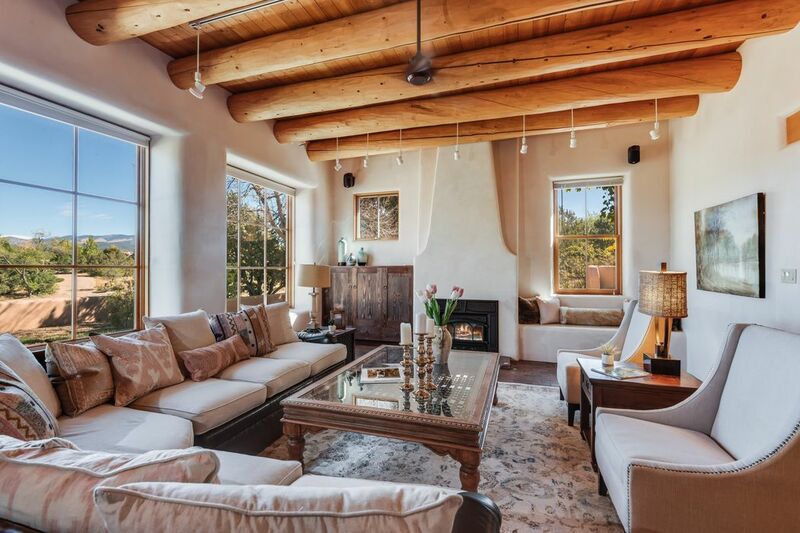 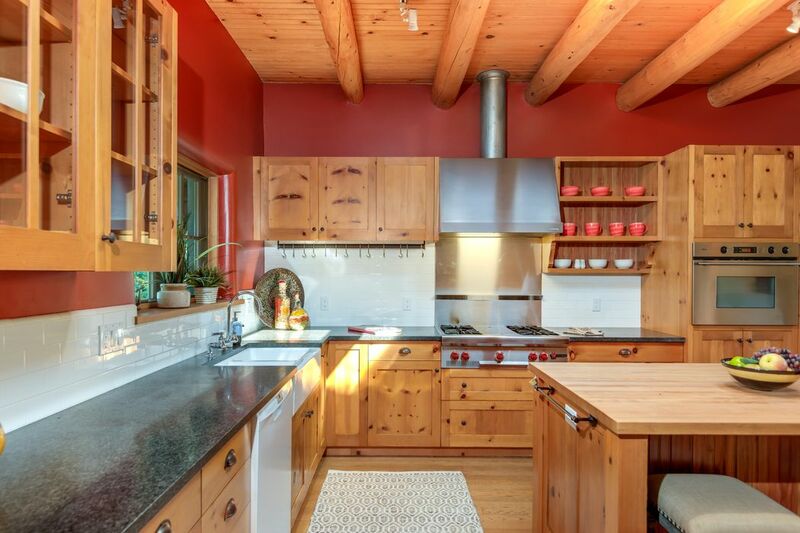 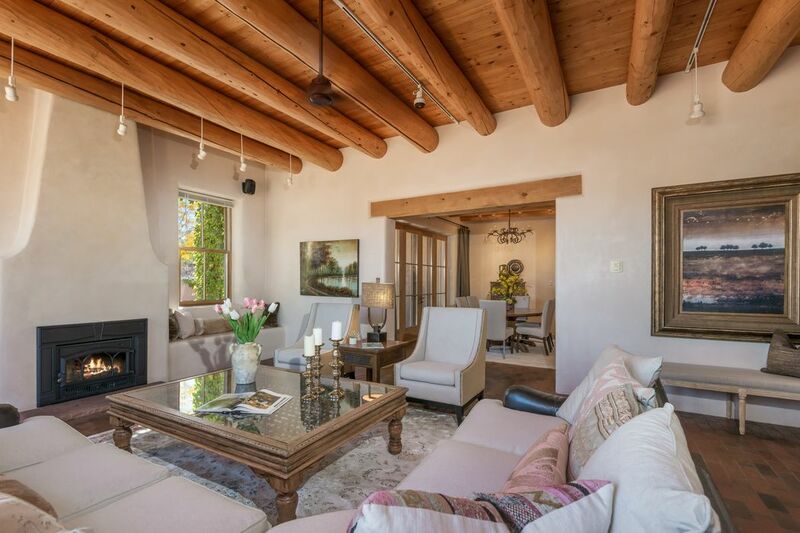 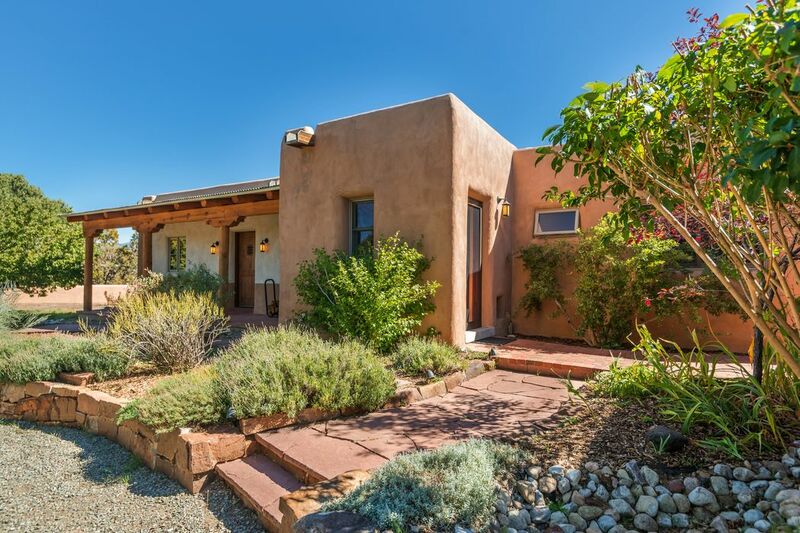 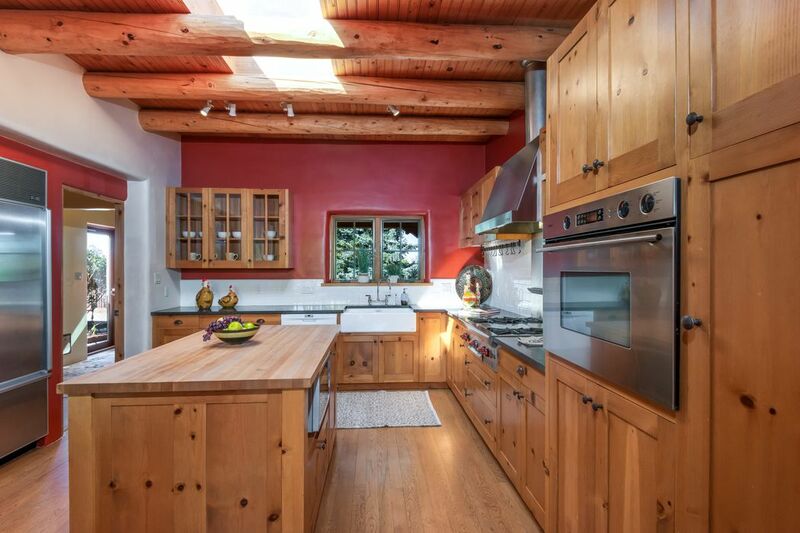 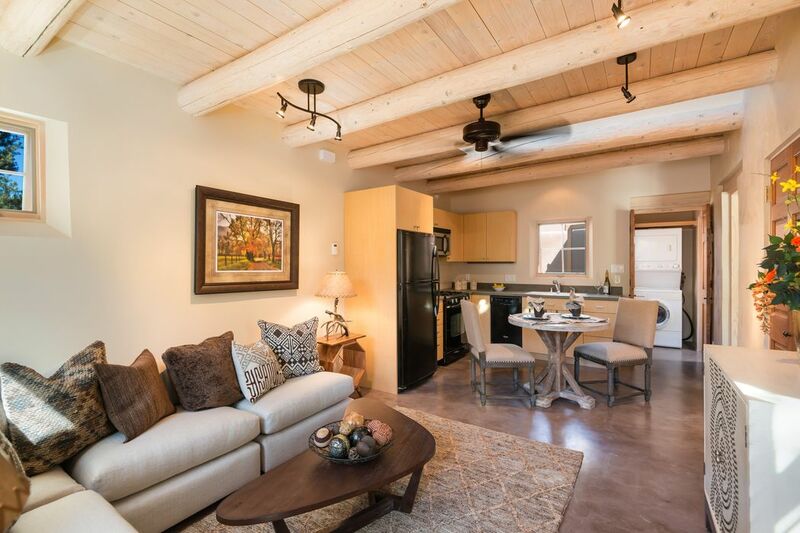 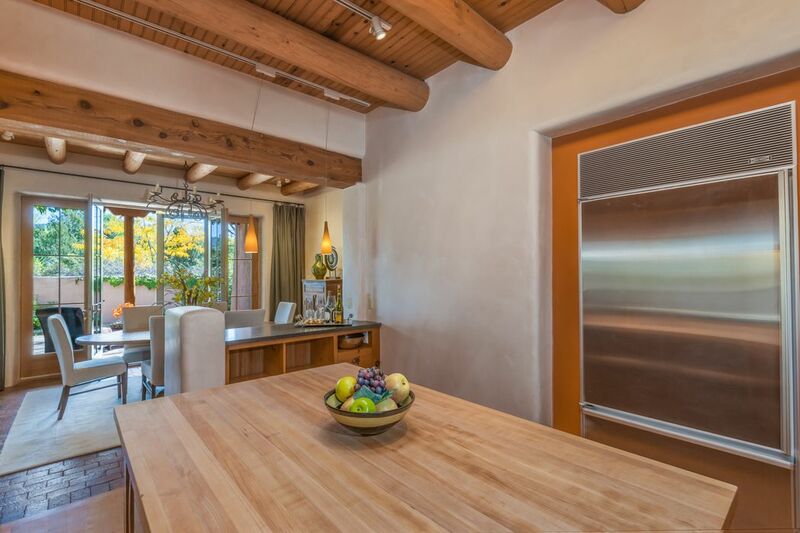 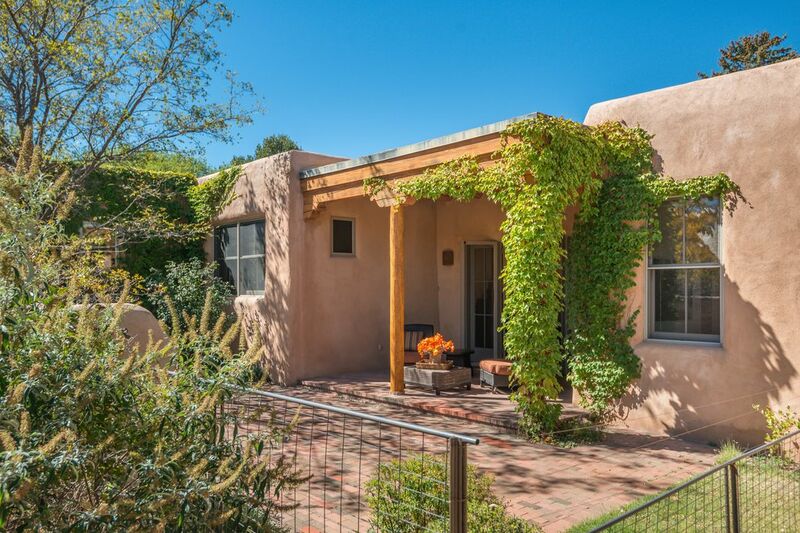 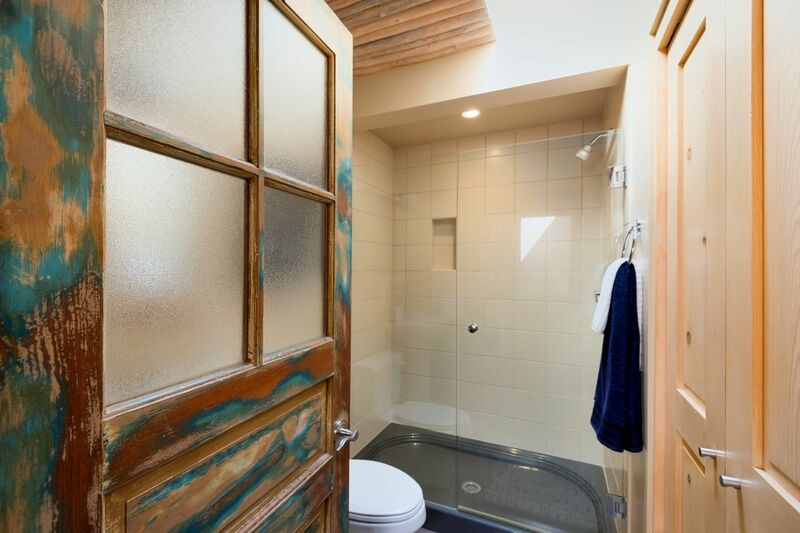 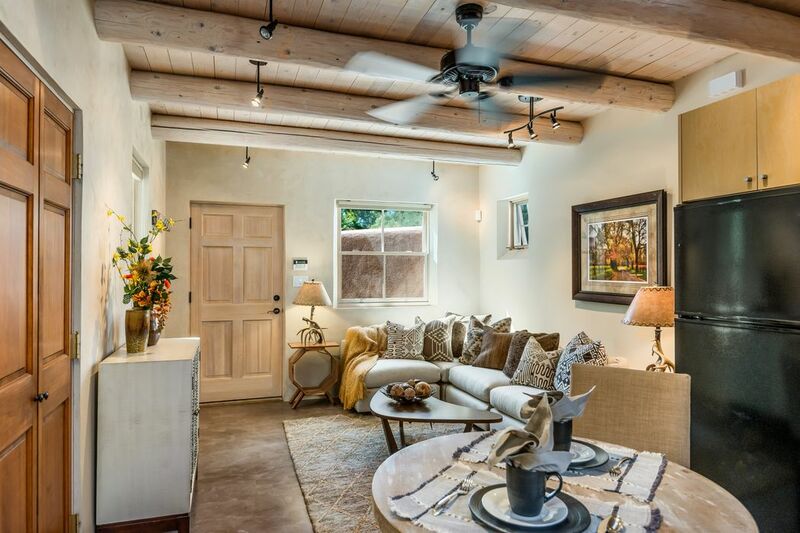 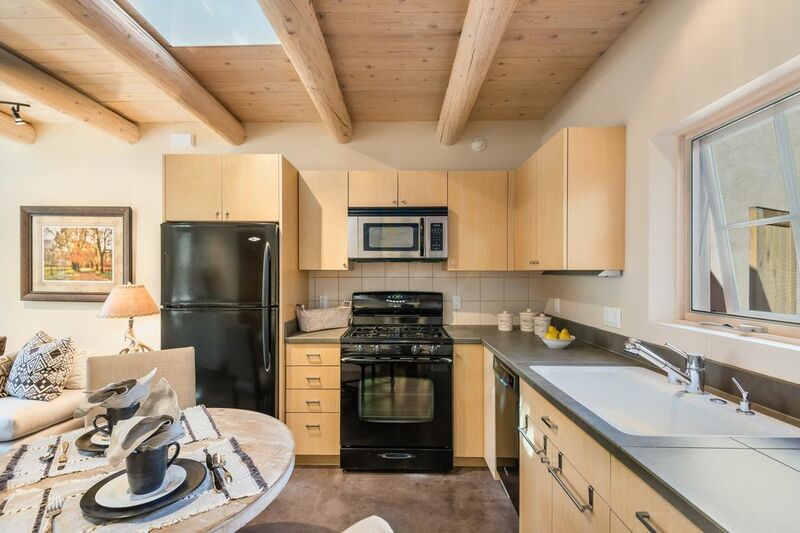 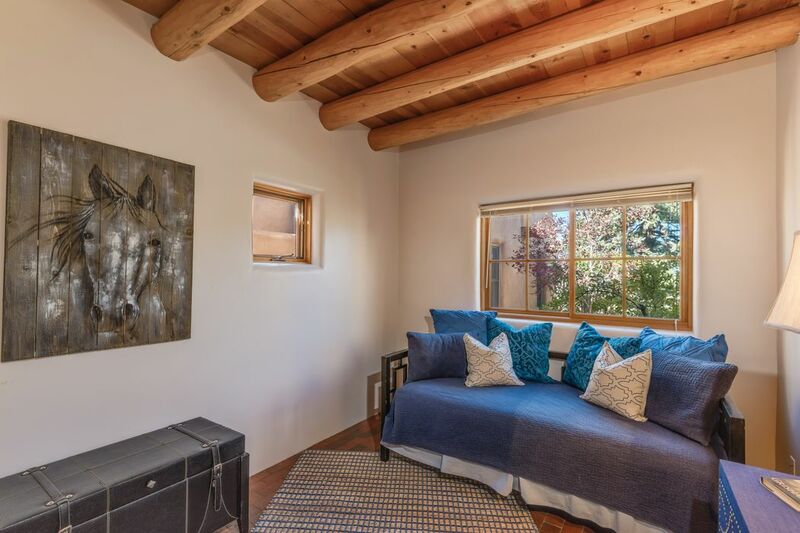 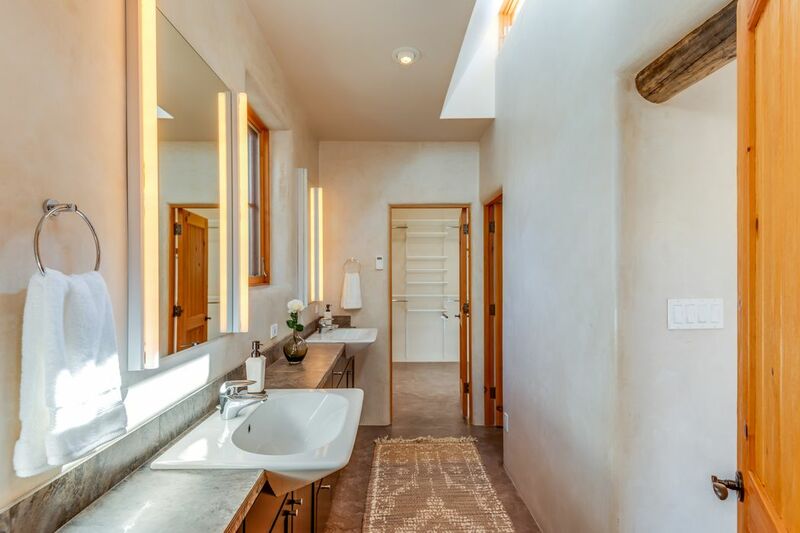 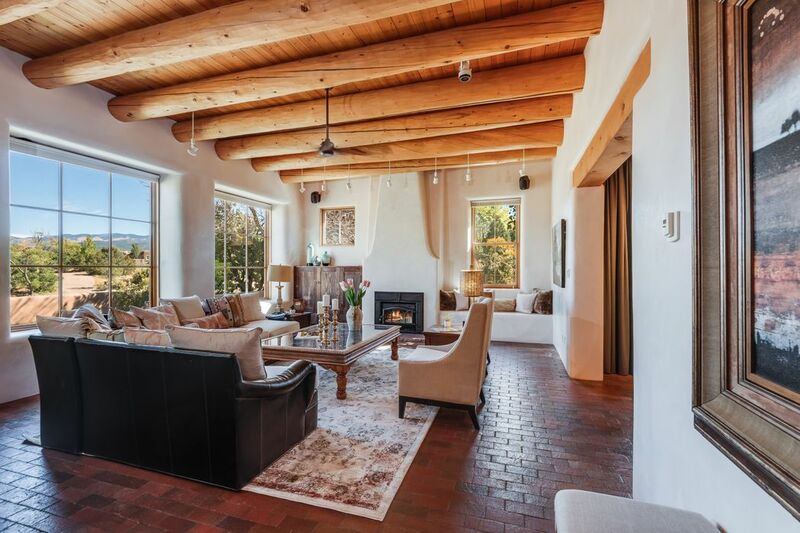 Located on the Eastside near Museum Hill, this beautifully remodeled home has wonderful views of the Sangre de Cristos and light open living areas with tall ceilings, plaster walls, brick floors, and contemporary Pueblo architectural details. 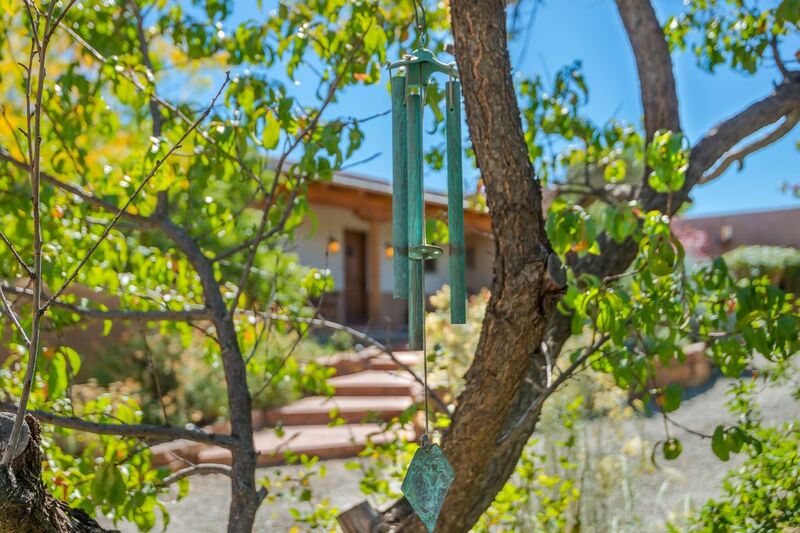 Both the main house and detached guest house have delightful outdoor living spaces. 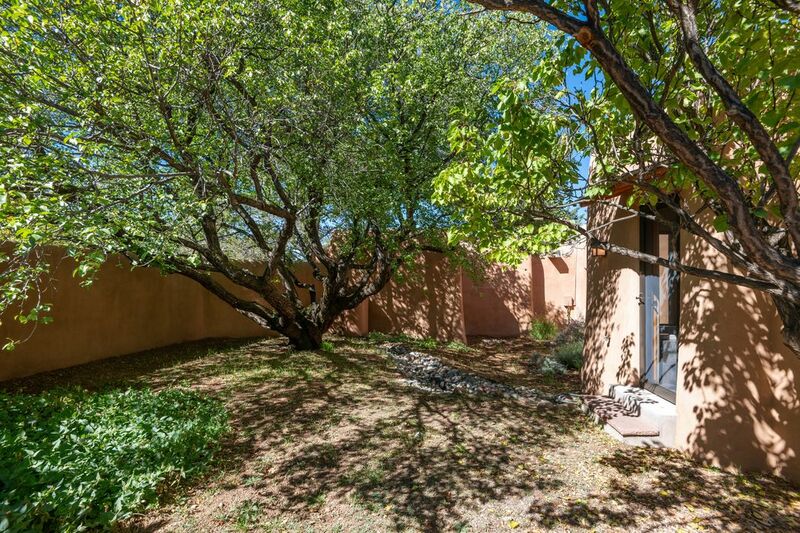 Sited on just under an acre of lovely landscaped grounds with drip irrigation, this alluring residence features a gorgeous living room with big view-filled windows, very nicely outfitted kitchen, a dining room that opens through big French doors to a most appealing portal and garden, three bedrooms, two baths, an office, and two-car garage. 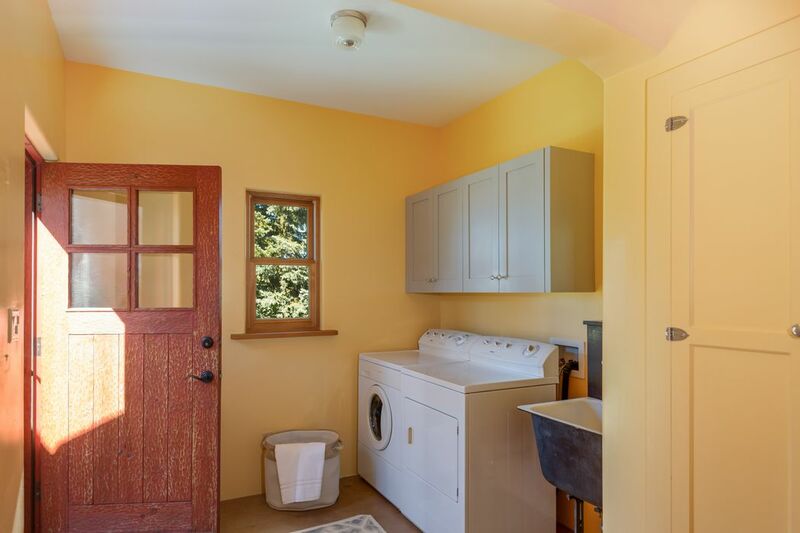 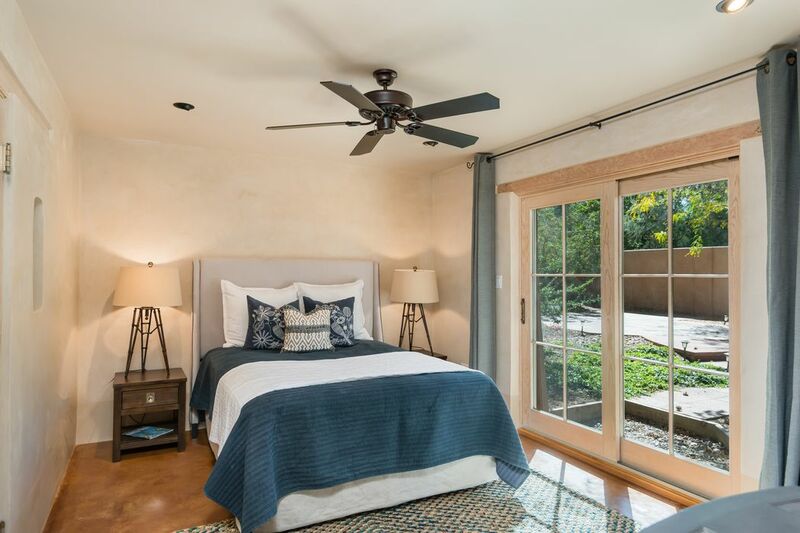 The comfortable master bedroom offers an eye-catching master bath that opens to a splendid secluded garden. 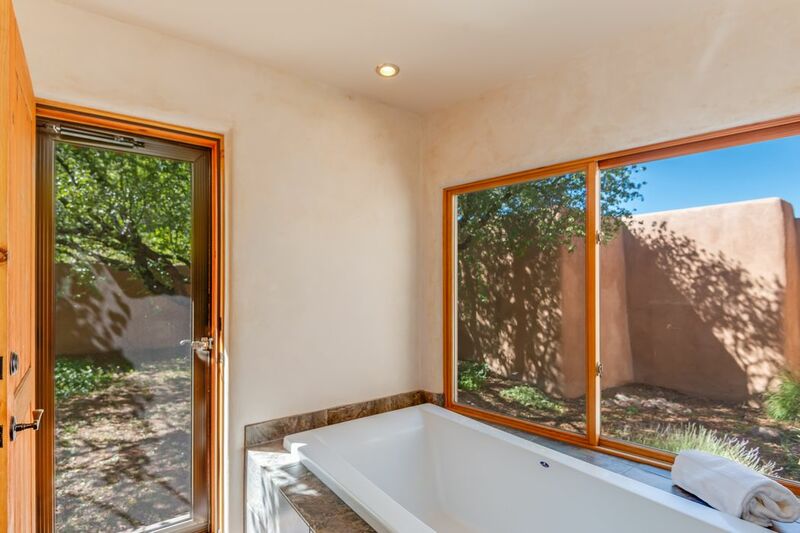 The private one bedroom guest house includes its own walled marvelous garden courtyard. 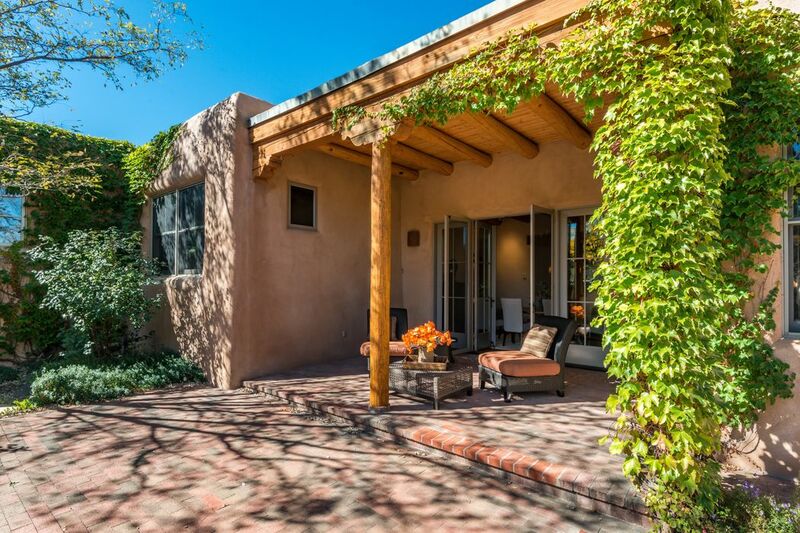 A superb offering!